Is It Time To Replace Your Old Christmas Tree? 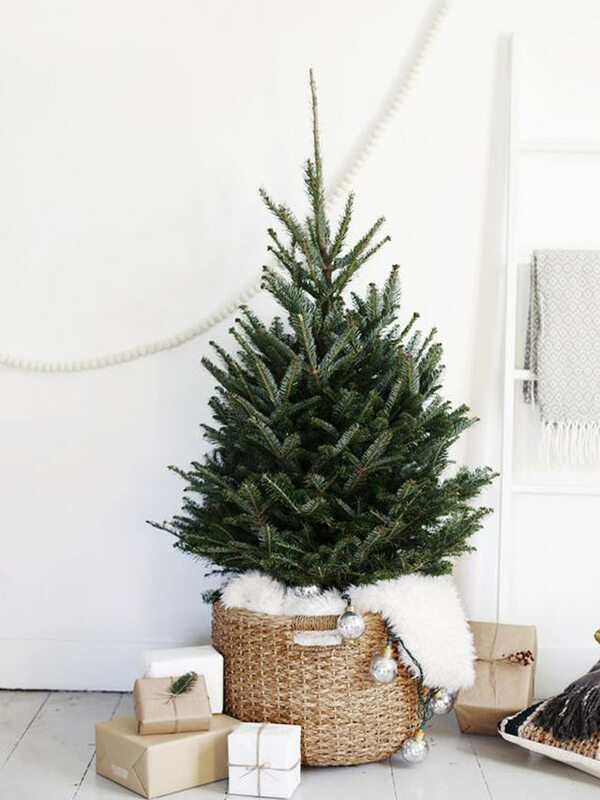 Aside from welcoming visitors with an enchanting foyer spruced up with pretty vignettes and whimsical holiday décor, we need to make sure that the Christmas tree is in tip-top shape. No one wants to have a lackluster tree. Since it’s the focal point that instantly catches the attention of guests, you may want to have a tree that reflects your home’s style or your personality. With Christmas only a few weeks away, you still have time to check if your tree is still in perfect form. To help you make the right decision, we asked interior designer Peaches de Guzman-Grey for signs you need to watch out for. We’ve got easy tree ideas you can consider, too. If you've spotted three or more of these signs when setting up your tree for the holidays, it might be best to invest in a new one. Depending on the size of your home or the theme you're going for, there are tons of options in stores you can check out. "Always check on quality when buying your Christmas tree. The interior poles of high-quality trees cannot be easily seen, while the branches are usually hinged for better storage. 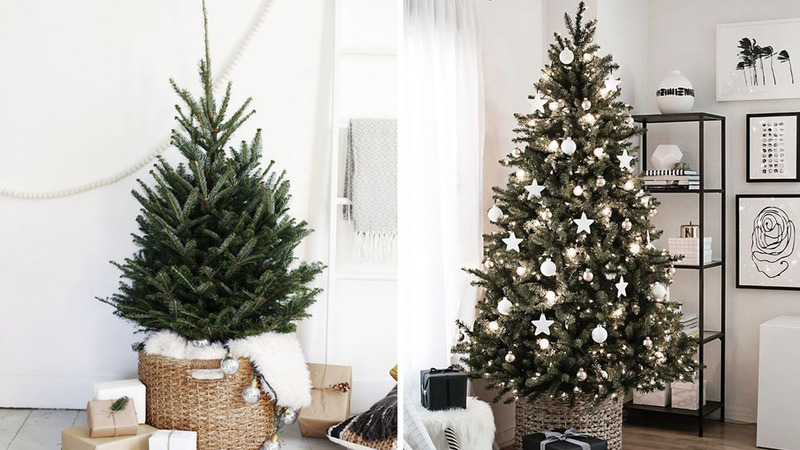 These trees also have strong stands or a sturdy base that won't tip over regardless of the weight of your ornaments," explains Peaches. 1. Choose a tree that fits in your space. "Consider its proportion to your space. You may want to opt for a small tree if you have a small space as well as where and how to store it after the holidays," says Peaches. Christmas trees measuring 4ft. fit perfectly in studio units and compact apartments. These trees cost P2,000 or less. Drop by SM Home and The Landmark, Makati City for options. RL Tip: Working with a tiny tree? See you if you can "plant" it in a woven basket, with the photo above as your peg. A woven planter can bring extra warmth and a tropical vibe to your space. Complete the look with string lights and beach-inspired ornaments. 2. Look for unconventional trees that add character to your home. Who wouldn't be intrigued by this wooden piece? 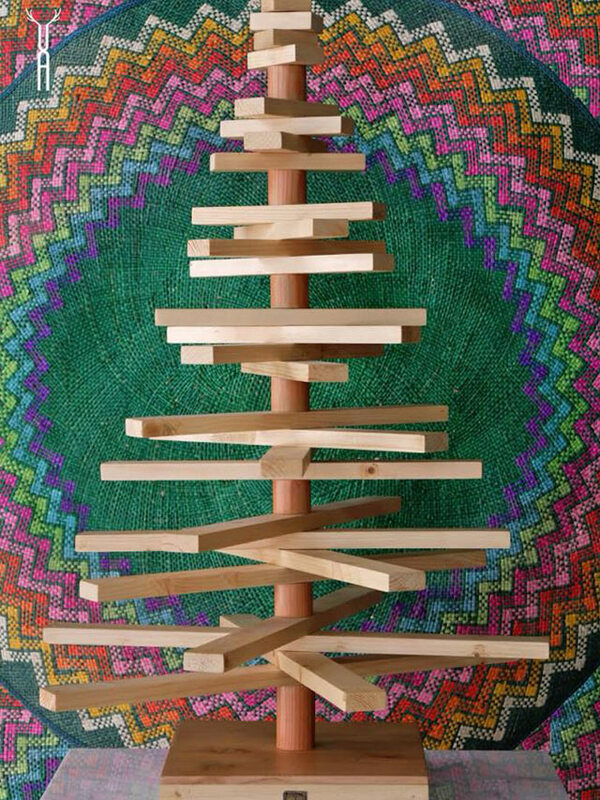 Urban Abode's collapsible tree is available in different sizes—from cute 2ft. trees to marvelous 7ft. ones. 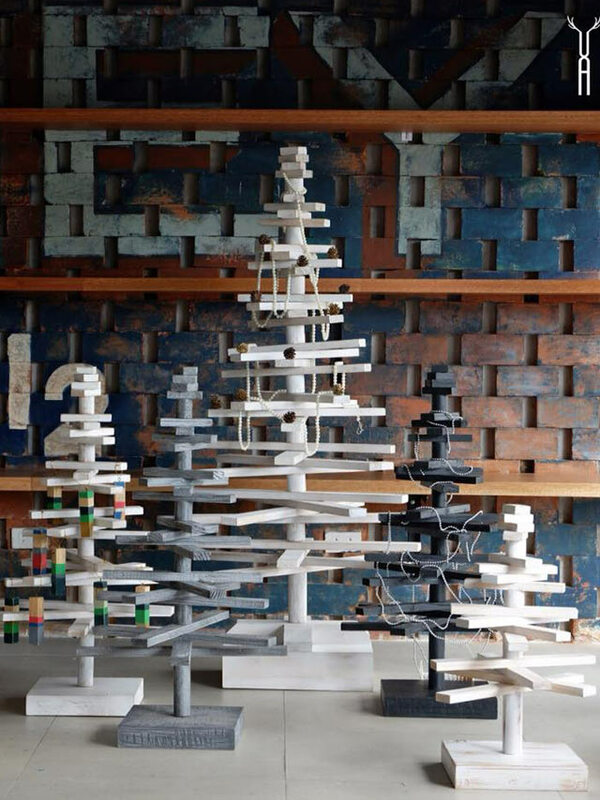 Space won't be an issue with these collapsible trees. The best part? You can customize it according to your needs. It's also available in colors like distressed white, charcoal, and gray. With these colors as base, you can go all out with the accessories and lights. For more details, follow Urban Abode on Facebook or e-mail discover[at]urbanabode.ph. 3. Go the DIY route. "Be creative and incorporate fun activities for the whole family when setting up your tree," shares Peaches. If you're looking for something different this year, pieces of cartolina, some glue, and art paper can go a long way. 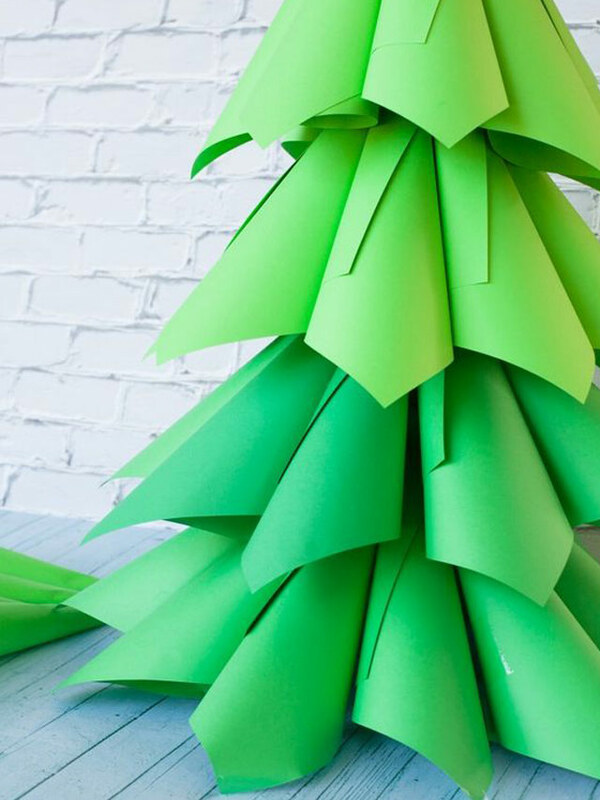 Crafting your own tree is more budget-friendly, plus you get to bond with the whole family. For a quick tutorial you can follow when creating 3D Christmas trees, click here. 4. Work with what you have and showcase your collection. If you love collecting hardbound copies and coffee table books, you can showcase some of your favorite reads this Christmas. 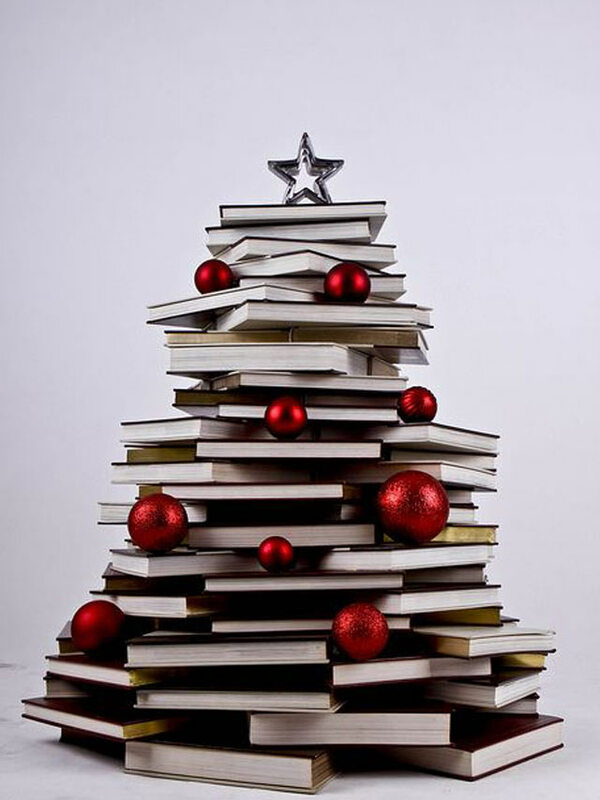 Depending on the height you want to achieve (we suggest to keep it low so you can display it in the living area and to keep the books from toppling over), collect your picks and arrange them into a special tree. Layer the books properly and make sure your base is wide enough. Use the thickest books as part of the base. Once you have the structure, decorate it with balls and lights. If you're low on space, Peaches suggests working with Christmas lights. "You can put up Christmas lights shaped as a tree," she shares. 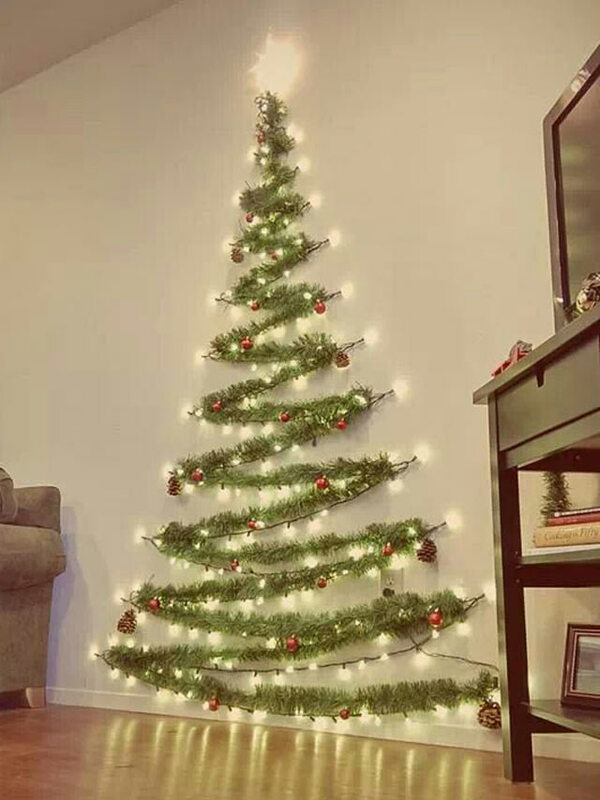 To do this, simply form a tree on the wall using your lights. You can install hooks to secure and hold the lights. If you're not into drilling holes, you can work with adhesive wall hooks instead. RL Tip: To make it more festive you can work with garlands and lights as seen in the photo above. You can shop for plain and decorated garlands at The Landmark, Makati City. 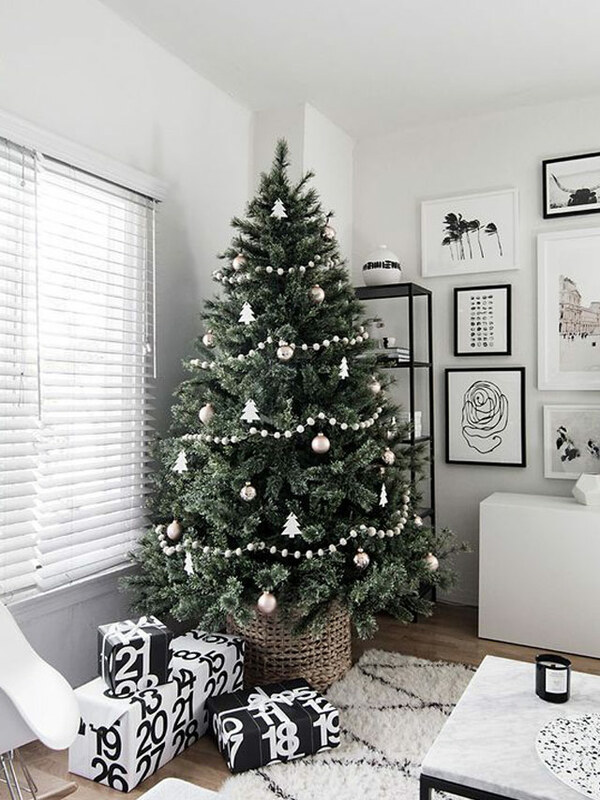 Interior designer Peaches de Guzman-Grey does Christmas styling, too. Get in touch with her through e-mail at designsgrey[at]gmail.com or mobile number (0920) 928-0508.